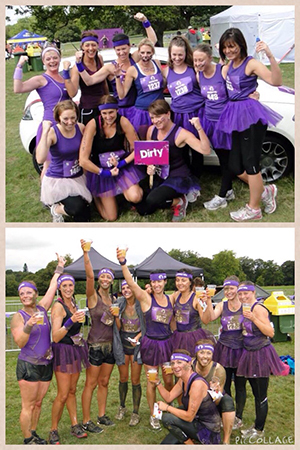 We recently received an email from Lucy, with some fantastic before and after pictures taken at the mud-filled obstacle course event, Mudderella. “I’m extremely proud to have had the courage to raise for your amazing charity. In the beginning I struggled as I knew it would pose questions from those that didn’t know Ben and I had lost our baby but I quickly realised that was the whole point to raise awareness, that’s it’s not taboo to talk about and to turn our sadness into a positive.